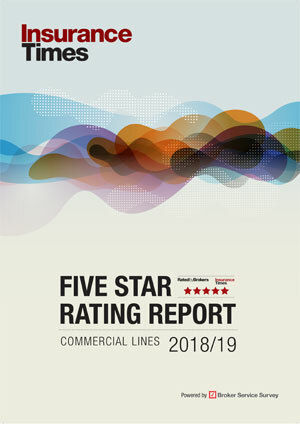 Have your say on the new Insurance Times Five Star ratings the first at a glance guide to insurer experience created for brokers by brokers. See what brokers have been criticising or praising about the companies you use and click the Have your say link next to the insurer name to add your views. The new ratings distil the key findings of the well-established Broker Service Survey into an indispensable advice tool to help brokers select the right insurer for clients. Insurer experience is classified using an easy to understand Five Star system, with five stars representing the best performing companies and one star the worst. 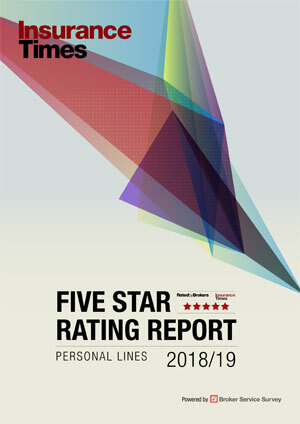 The overall ratings are based on the responses of 640 brokers who completed the Insurance Times Commercial Lines Broker Service Survey and the 520 brokers who responded on Personal Lines. Brokers rated insurers on 5 key service factors: claims experience, quality of cover, access to decision-makers, underwriting and policy documentation. You can access Commercial Lines or Personal Lines to add your comments and see how each insurer was rated overall. If you work for an insurer and want to use either the Five Star ratings or the rankings in your marketing communications you can purchase a licence giving you the right to do so. The data in this microsite is for your own internal, personal, private non-commercial use only. Please email fivestar@insurancetimes.co.uk for further details.